One question we are asked consistently by people inquiring about our services is “Does Medicare Insurance pay for custodial (private duty) home care services”? Custodial in-home care is also referred to as “private duty” home care. Custodial Care or Private Duty Home Care is non-medical care that helps individuals with his or her activities of daily living, preparation of special diets and self-administration of medication not requiring constant attention of medical personnel. Providers of custodial care are not required to undergo medical training. Therefore, ‘custodial care’ or ‘private duty’ home care, the care that provides the ‘activities of daily living’ and enables seniors to ‘age-in-place’ (usually their home) is often referred to as “non-medical” care. It occurred to me that I have not created a blog post focused on the role of Medicare as it pertains to private-duty home care for seniors. So, with a few necessary definitions provided along the way, here goes. 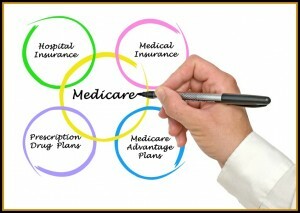 First, let’s understand that Medicare insurance is a complex subject. Medicare was established by the federal government because at the time, most private insurers would not sell health insurance policies to older adults. From Wikipedia, “Medicare is a national social insurance program, administered by the U.S. federal government since 1965, currently using about 30 private insurance companies across the United States. Medicare was established by the federal government to care for a very vulnerable part of our population. However, private insurance companies execute the health insurance program. Today Medicare covers more than 50 million people, including most people 65 and older and approximately 8 million younger adults with disabilities. Medicare is not free, nor does it cover everything! Medicare is similar to group insurance or individual health insurance in that it generally pays for acute care and skilled care, not custodial care with two notable exceptions. 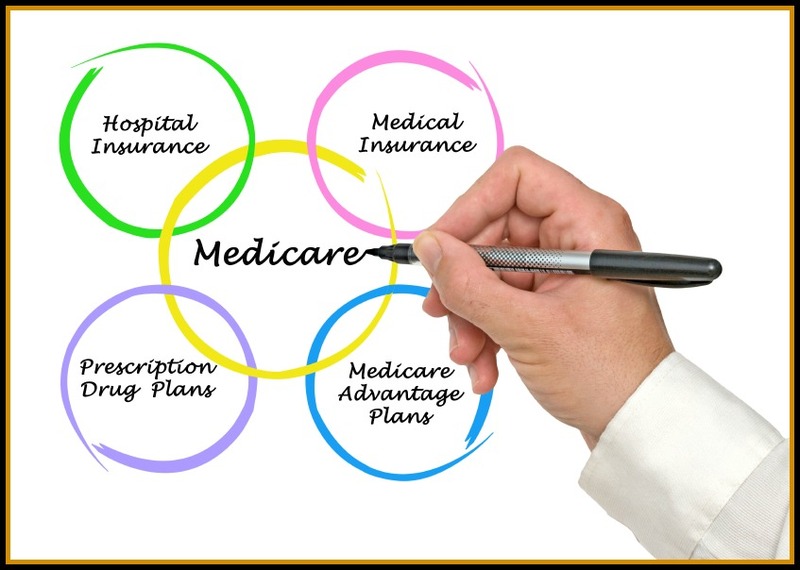 Medicare pays for custodial care in care settings such as home health care, but only if the beneficiary also receives skilled services and meets other criteria such as having a physician’s order for the services and using services provided only by Medicare-approved agencies. Medicare stops paying for custodial care when the patient no longer needs skilled care. For clarity the following definitions are also important. Acute Care is a pattern of health care in which a patient is treated for a brief but severe episode of illness, for the sequel of an accident or other trauma, or during recovery from surgery. Acute care is usually given in a hospital by specialized personnel using complex and sophisticated technical equipment and materials, and it may involve intensive or emergency care. This pattern of care is often necessary for only a short time, unlike chronic care. Skilled Care is a type of intermediate care in which the patient or resident needs more assistance than usual, generally from licensed nursing personnel and certified nursing assistants. So with the above listed limited exceptions, Medicare DOES NOT pay for custodial (private duty) in-home care unless the senior first needs skilled (medical) care. What Does Medicare Cover Relative to In-Home Care? Medicare Part A covers home health care services that include skilled nursing care, physical therapy, occupational therapy, speech therapy, and certain other health care services that patients receive in their homes for the treatment of or recovery from an illness or injury. In these cases, cases associated with these types of skilled care needs, Medicare covers non-medical or custodial (private duty) care needs. Medicare stops paying for custodial care when the patient no longer needs skilled care. Further, Medicare does not pay for long-term stays in nursing homes. So that’s as clear as I can state the facts regarding Medicare and what it covers relative to private duty home care. I hope it helps. Should you have other questions regarding Medicare and private duty home care, feel free to contact me at kjohnson@visitingangels.com. Did you know that Cleveland, Ohio is one of only five U.S. cities with more than one hospital on the U.S. News World & Report Best Hospitals 2013-14 Honor Roll. Additionally, the Global Center for Health Innovation is the only one of its kind in the world featuring hands-on interactive displays depicting the future of health care. Well, this week Cleveland Convention Center and Global Center for Health Innovation will host the 24th annual Case Management Society of America conference. The conference starts Tuesday evening, June 17th and runs through Friday, June 20th. Visiting Angels will be participating in this year’s conference and exhibition. Please come visit with us in the conference exhibit hall at Booth #813. CMSA’s Annual Conference & Expo offers a high-powered mix of diverse education sessions, leading industry experts and valuable networking opportunities! This annual gathering allows case managers and allied health care professionals to come away empowered with the latest knowledge & information. We are proud to be a member of this community providing a trusted resource to seniors and those entrusted with their care. Over the past years and as recently as the past two blog posts, I’ve discussed the importance of creating Advanced Directives and working through the tough job of Advanced Care Planning. These are difficult issues. They require patient persistence, tact, assertiveness, and resolve all at the same time. As a picture can sometimes be more effective than words, so too can a video show the challenges and the importance of addressing Advanced Care Planning, no matter how difficult, and getting through the process ahead of the possible occurrence of a major health issue. Please reference Cecilia’s Story as told in this informative YouTube video. I think you will find this beneficial for you and your family. In my last post titled “Long-Term Care Planning — A Sense of Urgency“, I discussed the criticality associated with long-term care planning inclusive of Advanced Directives. But when it comes to assisting some seniors, particularly our parents, there can be a problem. Too often we don’t know how to have the discussion regarding these sensitive issues. Many seniors are like my parents, whereby they don’t want to discuss any of these important issues with their children or with anyone else. So what do you do? Consider these 10 steps put forth by MetLife and the Journal of Financial Service Professionals. I’ve relied on them over the years and these recommendations along with a few others, have served me well. These sources note that sitting down with your parents to discuss legal, financial, and long-term care issues can be uncomfortable. Adult children often do not know much about their parents’ financial situation, whether they have enough money to live on, or to pay for the care they would want. Often, families have not had discussions about how they view the end of their lives, and what preparations they have made. Just has challenging is that for most of us it is hard to face the fact that our parents, the people who took care of us, are getting older and may need assistance in decision making and caring for themselves. It is difficult to ask questions about finances. These tips will provide you with the communication strategies and considerations for these important discussion and may help in opening a dialogue with your parents. Start Discussions Early — I urge you to gather the courage to act now. Do not wait until it is too late. If there is anyway possible, while your parents are still in good health, use the opportunity to start the conversation. Perhaps an item that appears in a newspaper, or a friend or relative’s illness can be the opening to start the dialogue. Once your parents develop a serious illness or are unable to make decisions for themselves, it is much more difficult to have this kind of conversation! Include Other Family Members — If possible, bring other family members into the discussions with your parents. Here’s the caveat. First determine whether they have different opinions that would undermine what your are trying to accomplish. Get all the issues on the table and gather support from siblings and other relatives. Explain the Purpose of Your Conversation — Let your parents know you are concerned about them, and you want to do the right thing for them as they age. Remember, even though this will be a tremendous help to you, make sure they know that this conversation is all about them and their well-being. You are not being nosey. You have simply reached the point where you have to be prepared ‘in case something unplanned happens’. Understand and Respect Your Parents’ Need to Control Their Own Lives — It is important to remember that your parents have a right to make their own decisions. At some point, you may need to balance your parents’ independence with their safety, but try not to take away their sense of control over their own lives. Agree to Disagree — Your heart may tell you that your are right, and that you know what needs to be done, but you and your parents may disagree with each other. Do not try and bully your way through. Their wishes should prevail unless their health or safety is in question. Use Good Communication Skills — It will be more effective if you offer options and not advice. Remember, these are your parents and elders, so steering them is better than forcing them. Ask them for their ideas on each subject. Express your concerns rather than telling them what they should do . Listen and leverage the power of silence. Use open-ended questions that foster discussion rather than closed questions that are answered with a “yes” or “no”. Ask About Records and Documentation — Know where your parents’ insurance policies advanced directives, trust documents, tax returns, and investment and banking records are located. You can start by asking your parents where they keep their papers, and whom you should contact in case they are in an accident, or are incapacitated. It may be difficult to ask directly about financial and legal matters, and this approach may provide you with an opening to discuss what prevision have been made and what may need to be done. Provide Information — Do your homework. Your parents may not have enough information about services and legal and financial options that may be available to them. You can play an important role by serving as a resource to them, and by providing materials for them to read. As they look over the materials there may be opportunities to open a dialog. Your parents may be eligible for government programs. Check www.benefitscheckup.org for assistance for people over the age of 55. You might find that they are eligible for benefits that will help pay for prescription drugs, health care, utilities and other essential items or services. Re-Evaluate If Your Discussion is not Working Well — If you find that you conversations are not progressing well, try and assess what is going wrong. Perhaps you are not coming across the way you thought you were. Or perhaps you just do not have enough information at hand. You might suggest that your parent talk to a third party such as a geriatric care manager, a certified senior advisor, a financial planner, or an attorney. Treat Your Parents with Respect — Your parents have lived a long time, and have learned a great deal during their lives. They may have made great sacrifices to give you the life you have. While old age can be a rewarding time, it is often a time of loss — of loved ones, of health, and of independence. 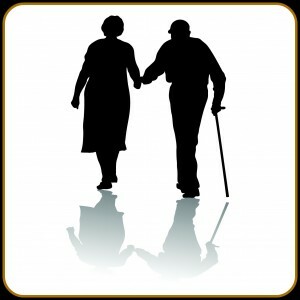 Treat your parents with love and respect, and reassure them that you will be there for them as they age. One additional approach I recommend is that you “drink your own Kool-Aid”. Make sure your children are not put in this situation. Document, and when appropriate, discuss your long-term care plans and Advanced Directives with you children. If you can use this as an example of what you have done, it will place you in a much stronger position when speaking with our parents. At any age, there is nothing like leading by example. I have used these tactics with my parents and have had tremendous success breaking through the objectives and working with them to formulate their long-term care plans. Everyone is different so be prepared to adjust your approach based on your relationship with your parents. But always remember that they are your parents. One key to success is to never forget the order in the parent-child relationship. If you keep the order first, you stand a good chance of navigating through this difficult area and creating Long-Term Plans and Advanced Directives that is to the advantage of your parents and to you. I never said it would be easy, but with this list, you too can successfully get through this. Good luck! Long-Term Care Planning — A Sense of Urgency! Here is a fact that should get your attention. The cost of long term care continues to rise at a rate that outpaces inflation! BACKGROUND — At present, we have almost 12 million Americans in need of long term care services. From Wikipedia, Long-term care (LTC) is a variety of services which help meet both the medical and non-medical needs of people with a chronic illness or disability who cannot care for themselves for long periods of time. It is common for long-term care to provide custodial and non-skilled care, such as assisting with normal daily tasks like dressing, bathing, and using the bathroom. Increasingly, long-term care involves providing a level of medical care that requires the expertise of skilled practitioners to address the often multiple chronic conditions associated with older populations. Long-term care can be provided at home, in the community, in assisted living facilities or in nursing homes. Long-term care is a commonly focused for senior citizens. COSTS — Of the many options for long term care, the cost of receiving in-home care continues to be the most cost effective on average; its cost is increasing at a slower rate. This is a positive for seniors because the overwhelmingly want to age-in-place with “in-place” being their home. In light of the fact that the number of Americans over age 65 is projected to double over the next 40 years, continued increases in the cost of care and decreasing public financing options available to cover these costs, long term care is lining up to be one of the most important social issues of the first have of this 21st century. According to Genworth, nationally, the 2014 median hourly cost for a home care aide from a home care agency is $19.75. Home health aide services have risen, on average, only 1.32% annually over the past 5 years. The cost to receive care in an assisted living facility is rising at a much faster rate. The median annual cost for care in an assisted living facility is $42,000. This represents an increase of 4.29 percent annually over the past five years. The comparable cost for a private nursing home room is $87,600, which has increased 4.19 percent annually over the past five years. Here’s the point; costs for long-term care is increasing year after year. Once you reach 65, there is a 70% chance that you will need some form of long term care services. That being a fact, it is only prudent that everyone apply considerable effort to creating a sound financial plan for managing their inevitable future long term care costs. Let’s talk about the perimeters of a long-term care plan. You need to know that the average long term care claim current is about three years. Now working the math through the three prominent options what the resulting costs. In-Home Care via a Home Health Aid — nearly $136,000. In a private nursing home room —over $260,000. Now if we apply an inflation rate of just 3%, in 25 years, when many baby boomers will require long term care services, costs for an average length of stay in a private nursing home facility will be about $840,000, a huge expense that most of us will be unable to afford. Keep in mind that few workers have company sponsored time-honored pensions, and that their replacement vehicle, the 401(k) plan and the like, are badly underfunded by their individual owners. Also, most people don’t really realize that the government program, Medicare does not cover long-term care needs. Medicaid, provides a degree of coverage for long-term care, but only after life long savings have need nearly depleted. WHAT TO DO? — For most Americans, private long term care insurance is one of the most viable and effective approaches to get prepared. But remember, long term care insurance is part of a comprehensive plan that should be developed as one part of your comprehensive retirement financial plan. Strongly consider augmenting your long-term retirement tools with one of several types of long term care insurance products. 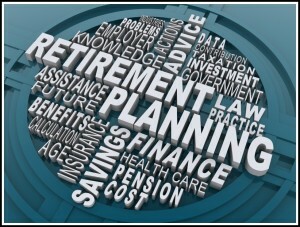 Money is not the only issue with regards to long term care planning. It is critically important to remember that your long-term care planning needs to include specific directions and guidance for others in case you become unable to communicate those wishes yourself. A “healthcare power of attorney” (or “proxy” or “agent” or “surrogate”) documents the person you select to be your voice for your healthcare decisions if you cannot speak for yourself. A “living will” documents what kinds of medical treatments you would or would not want at the end of life. The Ohio Durable Power of Attorney for Health Care lets you name someone, called an agent, to make decisions about your medical care—including decisions about life-sustaining treatment—if you can no longer speak for yourself. The durable power of attorney for health care is especially useful because it appoints someone to speak for you any time you are unable to make your own medical decisions, not only at the end of life. Your durable power of attorney for health care becomes effective when your doctor determines that you have lost the capacity to make informed health care decisions for yourself. The Ohio Living Will Declaration is your state’s living will. It lets you state your wishes about health care in the event that you become terminally ill or permanently unconscious and can no longer make your own health care decisions. Your Ohio Declaration becomes effective when your doctor determines that you have lost the capacity to make informed health care decisions for yourself and you are terminally ill or you are permanently unconscious. The Organ Donation Enrollment Form allows you to register your organ donation choices with the registry, so that your organ donation wishes will be followed, even if your declaration cannot be found. These forms do not expressly address mental illness. If you would like to make advance care plans regarding mental illness, you should talk to your physician and an attorney about a durable power of attorney tailored to your needs. There are other advanced planning vehicles including ‘trusts’ that should be considered however, the basic elements of the advanced planning portfolio are what I’ve covered above. This is important and I urge every adult to proactively address advanced care planning today for the sake or yourselves and your families! If you already have your Advanced Directives completed, I congratulate you. 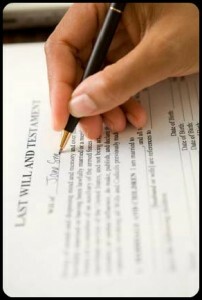 Just remember, as a matter of practice, to review your advanced planning documents annually. Your decisions and directions are subject to change by you, and you are certainly free to make modifications to your documentation as you feel appropriate. My advance is to use an attorney. Your family, who will be impacted by your advanced directives, is too important to leave to have a misinterpretation cause an unintended outcome. Like the title of this blog suggest, have a sense of urgency with regards to your long-term care planning.